HTC Facebook Phone ? 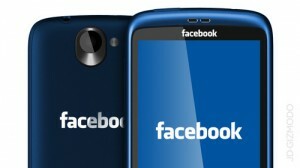 | It-11 Audio / Tonegeek"
Rumours of a smartphone dedicated to Facebook for the MWC in a few days. This time, we learn that this smartphone you would find a bunch of social networking features, would be manufactured by HTC and running Android! Thus, stay tuned. Seeing the rumor spread like wildfire, Facebook quickly responded and denied the report: “It’s just another example of a manufacturer who used our public APIs and have integrated into their devices”, has said Dan Rose, Facebook. “The rumors suggesting that there is something more about a HTC device are exaggerated”, he told to a reporter, confirming that there would be no terminal marked with a logo Facebook. This entry was posted in What's up, doc ? and tagged facebook, htc, phone, smartphone. Bookmark the permalink.